The Muzaffarid dynasty (Persian : مظفریان‎) was a Persian dynasty  of Arab origin    [lower-alpha 1] which came to power in Iran following the breakup of the Ilkhanate in the 14th century. At their zenith, they ruled a kingdom comprising Iranian Azerbaijan, Central Persia, and Persian Iraq. Persian, also known by its endonym Farsi, is one of the Western Iranian languages within the Indo-Iranian branch of the Indo-European language family. It is primarily spoken in Iran, Afghanistan, and Tajikistan, Uzbekistan and some other regions which historically were Persianate societies and considered part of Greater Iran. It is written right to left in the Persian alphabet, a modified variant of the Arabic script. Arabs are a population inhabiting the Arab world. They primarily live in the Arab states in Western Asia, North Africa, the Horn of Africa, and western Indian Ocean islands. They also form a significant diaspora, with Arab communities established around the world. Arabs are the world's second largest ethnic group. The Ilkhanate, also spelled Il-khanate, was established as a khanate that formed the southwestern sector of the Mongol Empire, ruled by the Mongol House of Hulagu. It was founded in the 13th century and was based primarily in Iran as well as neighboring territories, such as present-day Azerbaijan and the central and eastern parts of present-day Turkey. The Ilkhanate was originally based on the campaigns of Genghis Khan in the Khwarazmian Empire in 1219–24 and was founded by Hulagu Khan, son of Tolui and grandson of Genghis Khan. With the fragmentation of the Mongol Empire after 1259 it became a functionally separate khanate. At its greatest extent, the state expanded into territories that today comprise most of Iran, Iraq, Armenia, Azerbaijan, Georgia, Turkmenistan, Turkey, western Afghanistan, and the Northwestern edge of the Indian sub-continent. Later Ilkhanate rulers, beginning with Ghazan in 1295, converted to Islam. The Muzaffarids were originally from Arabia and had settled in Khorasan from the beginning of Caliphal rule there. They stayed in Khorasan up until the Mongol invasion of that province, at which point they fled to Yazd. Serving under the Il-Khans, they gained prominence when Sharaf al-Din Muzaffar was made governor of Maibud. He was tasked with crushing the robber-bands that were roaming around the country. Yazd, formerly also known as Yezd, is the capital of Yazd Province, Iran. The city is located 270 km (170 mi) southeast of Esfahan. At the 2011 census, the population was 529,673, and it is currently 15th largest city in Iran. Since 2017, the historical city of Yazd is recognized as a World Heritage Site by UNESCO. Mubariz al-Din Muhammad (1301-1358), was the founder of the Muzaffarid dynasty, ruling from 1314 to 1358. He was born to a family of distant Arab origin which settled in Khurasan during the Islamic conquest. He was the son of Sharaf al-Din Muzaffar, a servant of the Ilkhanids and on his father's death in 1314 Mubariz inherited his father's offices. 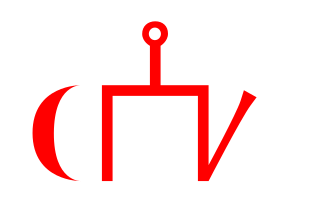 Atabeg, Atabek, or Atabey is a hereditary title of nobility of a Turkic origin, indicating a governor of a nation or province who was subordinate to a monarch and charged with raising the crown prince. The first instance of the title's use was with early Seljuk Turks who bestowed it on the Persian vizier Nizam al-Mulk It was later used in the Kingdom of Georgia, first within the Armeno-Georgian family of Mkhargrdzeli as a military title and then within the house of Jaqeli as princes of Samtskhe. In the wake of the loss of Il-Khan authority in central Iran following the death of Abu Sa'id (Ilkhanid dynasty), Mubariz al-Din continued to carry out his expansionary policy. In 1339 or 1340 he invaded the province of Kirman and seized it from its Mongol governor, Qutb al-Din b. Nasir. Kutb al-Din was able to retake the province for a short time after receiving aid from the Kartid dynasty of Herat, but Mubariz al-Din permanently gained control of Kirman in late 1340. The city of Bam was besieged and conquered a few years after this. Bam is a city and capital of Bam County, Kerman Province, Iran. At the 2006 census, its population was 73,823, in 19,572 families. After the conquest of Kirman, Mubariz al-Din became a rival of the neighboring Injuids, who controlled Shiraz and Isfahan. Although the Muzaffarids and Injuids had traditionally been on friendly terms with one another, the Injuid Abu Esshaq's desire to gain Kirman led him to start a drawn-out conflict with the Muzaffarids in 1347. He unsuccessfully besieged Yazd (1350–1351), after which his fortunes declined rapidly. Defeated on the field in 1353, Abu Esshaq was forced to take refuge in Shiraz and finally surrender. He managed to escape from Shiraz and fled to Isfahan, but Mubariz al-Din pursued him, took the city and executed the Injuid ruler. Fars and western Iran were now under his control. 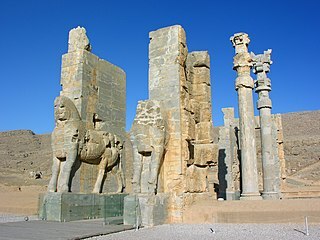 The House of Inju was a Shia dynasty of Mongol origin that came to rule over the Persian cities of Shiraz and Isfahan during the 14th century AD. Its members became de facto independent rulers following the breakup of the Ilkhanate until their defeat in 1357. With the destruction of Injuid authority, the Muzaffarids were the strongest power in central Iran, and Shiraz was made their capital. Mubariz al-Din's strength was such that when the khan of the Golden Horde, Jani Beg, sent an offer to become his vassal, he was able to decline. In fact, he pushed on into Azerbaijan, which Jani Beg had conquered in 1357. He defeated the khan's governor Akhichuq and occupied Tabriz, but realized that he could not hold his position against the Jalayirid troops marching from Baghdad and soon retreated. The Jalayirids would therefore maintain a hold on Tabriz, despite further attempts by the Muzaffarids to take it. Jani Beg also called Djanibek Khan was a khan of the Golden Horde from 1342 to 1357, succeeding his father Öz Beg Khan. Tabriz is the most populated city in northwestern Iran, one of the historical capitals of Iran and the present capital of East Azerbaijan province. It is the sixth most populous city in Iran. Located in the Quru River valley, in Iran's historic Azerbaijan region, between long ridges of volcanic cones in the Sahand and Eynali mountains, Tabriz's elevation ranges between 1,350 and 1,600 metres above sea level. The valley opens up into a plain that gently slopes down to the eastern shores of Lake Urmia, 60 kilometres to the west. With cold winters and temperate summers, Tabriz is considered a summer resort. It was named World Carpet Weaving City by the World Crafts Council in October 2015 and Exemplary Tourist City of 2018 by the Organisation of Islamic Cooperation. Mubariz al-Din was known as a cruel ruler, and soon afterwards 1358, his son Shah Shoja blinded and imprisoned him. A temporary reconciliation was reached, but it failed to last and he died, again in prison, in 1363. Tomb of Shah Shoja in Shiraz, Iran. Shah Shoja proved to be a less of a tyrannic figure, but he was constantly fighting with his brothers, causing a long period of instability. In 1363 he marched against his first brother Shah Mahmud, who had been given control of Isfahan, although a peace was soon brokered. In the following year however, Shah Mahmud, with the support of his father-in-law Shaikh Uvais of the Jalayirids, invaded Fars and captured Shiraz. Shah Shoja would not be able to reconquer his capital until 1366. Shah Mahmud would continue to play and influential role in Iranian politics, using his marriage alliance to claim Tabriz from the Jalayirids after Shaikh Uvais died in 1374. He occupied the city but soon gave up after he was struck by illness. He died the next year, allowing Shah Shoja to occupy Isfahan. Shah Shoja then marched on Tabriz himself, but was forced to turn back when internal conditions in Fars deteriorated. His second brother Shah Muzaffar's son, Shah Yahya, rose in revolt in Isfahan. Having to make peace with the Jalayirids, Shah Shoja offered to marry his son Zain Al-Abidin to a sister of the Jalayirid ruler Husain. The Jalayirids refused the offer and invaded, although Shah Shoja managed to prevent them from getting any further than Sultaniyya. Before dying in 1384, he named his son Zain al-Abidin his successor and his third brother 'Imad ad-Din Ahmad as governor of Kirman. Not satisfied with the arrangement, Shah Yahya advanced against Shiraz, but was expelled from Isfahan by the city's populace and was forced to flee to Yazd. On his deathbed, Shah Shoja wrote a letter to Timur, who was then campaigning in Azerbaijan, in which he gave his sons' loyalty to the conqueror. When Zain Al-Abidin succeeded his father, he quickly ignored the declaration of loyalty. Timur therefore marched into the Muzaffarid lands. He came to Isfahan, where the governor gave him control of the city, but a rebellion in the city killed any goodwill Timur had, resulting in a slaughter of the populace. Zain Al-Abidin fled from Shiraz in an attempt to make it to the Jalayirids in Baghdad, who were enemies of Timur. However, he encountered Shah Yahya's brother Shah Mansur, who imprisoned him. Shiraz soon fell to Timur. Shah Mansur and 'Imad ad-Din Ahmad, along with other Muzaffarid princes, went to Shiraz to declare their loyalty, whereupon Timur restored them to their positions. The conqueror soon after returned to Transoxiana; Shiraz was given to Shah Yahya. Unfortunately, the Mozaffarids soon began to resume their local feuding. Shah Mansur began by expelling Shah Yahya from Shiraz, whereupon Shah Yahya again fled to Yazd. Shah Mansur then conquered Abarquh, but failed to take Isfahan. Meanwhile, Zain al-Abidin escaped from prison and reached Isfahan. An alliance was then formed between Zain al-Abidin, Shah Yahya and 'Imad ad-Din Ahmad against Shah Mansur. The alliance proved to be unstable, however, and when they met Shah Mansur's army at Furg, Shah Yahya failed to show and 'Imad ad-Din Ahmad quickly retreated. The latter met Shah Mansur again, this time at Fasa, but lost and was captured in Ray. He was blinded and imprisoned. Shah Mansur then approached Kirman, where Sultan Ahmad and Shah Yahya had gone after the events at Furg. He offered a common alliance against Timur, but was rebuffed and thereafter returned to Shiraz. Timur, who while campaigning elsewhere took note of these events, decided in 1392 that a campaign against Shah Mansur was in order. Shah Mansur gained the Sarbadar Muluk as his ally; Muluk was sent to defend Kashan and the Mozaffarid northern front. By March 1393 Timur had advanced down to Shushtar and Dizful, installing a Sarbadar as governor there. He also freed 'Imad-Din Ahmad from imprisonment. Shah Mansur fled Shiraz, but then turned around and met Timur's forces. With an army weakened by desertions, he fought bravely but was forced to retreat. Attempting to reach Shiraz, he was captured by forces of prince Shah Rukh and was decapitated. The other Muzaffarid princes then again swore alliegence to Timur. They were received honorably by the conqueror, but on May 22 in Qumisha they were executed. Only Zain al-Abidin and Sultan Shibli (another son of Shah Shoja) survived the purge; they were sent to Samarkand. Buraq Hajib, also spelt Baraq Hajib, was a Khitan who founded the Qutlugh-Khanid dynasty in the southern Persian province of Kirman the early 13th century after the conquest of the sinicised Central Asian Qara Khitai by the Mongol Empire. Buraq Hajib's Kirmani Qara Khitai Khanate ended in the 14th century. The names of people, battles, and places need to be spelled as they are on other articles title and then wikified. Shaikh Hasan, called "Buzurg", was the first of several de facto independent Jalayirid rulers of Iraq and central Iran. He was the son of Husain and Öljetey. His sister Soyurghatmish Khatun was married to Öljaitü Khan. The Sarbadars were a mixture of religious dervishes and secular rulers that came to rule over part of western Khurasan in the midst of the disintegration of the Mongol Ilkhanate in the mid-14th century. Centered in their capital of Sabzavar, they continued their reign until Khwaja 'Ali-yi Mu'ayyad submitted to Timur in 1381, and were one of the few groups that managed to mostly avoid Timur's famous brutality. Sheikh Khalifa Mazandarani one of the leaders of this movement was indeed a great scholar. In modern Iranian history the term "Sarbedars" was used by the Union of Iranian Communists (Sarbedaran) during their armed uprising in January 1982 in Amol against the Iranian regime. Khwaju Kermani, whose full name is Abu’l-ʿAṭā Kamāl-al-Din Maḥmud b. ʿAli b. Maḥmud Morshedi (1280–1352), was a famous Persian poet and Sufi mystic from Iran. Togha Temür, also known as Taghaytimur, was a claimant to the throne of the Ilkhanate in the mid-14th century. Of the many individuals who attempted to become Ilkhan after the death of Abu Sa'id, Togha Temür was the only one who hailed from eastern Iran, and was the last major candidate who was of the house of Genghis Khan. His base of power was Gurgan and western Khurasan. His name "Togoy Tomor" means "Bowl/Pot Iron" in the Mongolian language. Shaikh Bayazid Jalayir was the Jalayirid ruler of Soltaniyeh (1382–1384) in opposition to his brother Sultan Ahmed Jalayir. He was the son of Shaikh Awais Jalayir. In 1382 Bayazid and his brothers Ahmad and Shaikh Ali Jalayir plotted to overthrow their brother Shaikh Hussain Jalayir. Ahmad acted first, advancing from Ardabil to Tabriz and ordered Hussain's execution. Bayazid, who was in Tabriz, barely managed to escape. One of Hussain's amirs, 'Adil Aqa, opposed Ahmad and had Bayazid proclaimed as sultan in Soltaniyeh. In order to secure his position Ahmad requested the assistance of the Black Sheep Turkmen; they killed Shaikh 'Ali in battle. Ahmad and Bayazid then attempted to form an agreement with each other; Bayazid was to receive the Jalayirid lands in Iraq-i 'Ajam and Ahmad would receive Azerbaijan, while Iraq-i 'Arab would be split between them. The agreement with the brothers failed to last, however, and Ahmad occupied Baghdad. In 1383 he gained entry into Soltaniyeh. At this point, Shah Shuja of the Muzaffarids of Iran intervened, and a new peace was brokered. Bayazid was confirmed in his possession of 'Iraq-i 'Ajam; 'Adil Aqa then left with Shah Shuja for Shiraz. 'Adil Aqa's departure left Bayazid without his principal ally, however, and in the spring of 1384 he gave up Soltaniyeh to Ahmad. Shah Shoja, was the ruler of the Muzaffarid dynasty from 1358 to 1384. He was the son and successor of Mubariz al-Din Muhammad. During the lengthy reign of Shah Shoja, his kingdom reached its zenith of power, stretching from Balochistan to Arran. Yahya Karawi was the leader of the Sarbadars of Sabzewar from around 1353 until his death. Haidar Qassāb was the head of the Sarbadars of Sabzewar During 1356. Lutf Allah was the leader of the Sarbadars of Sabzewar from 1356 until his death. 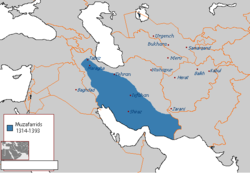 The Hazaraspids (1155–1424), was a Kurdish Sunni Muslim dynasty that ruled the Zagros Mountains region of southwestern Iran, essentially in Lorestan and the adjacent parts of Fars which flourished in the later Saljuq, Ilkhanid, Muzaffarid, and Timurid periods. The Battle of Algami Canal was fought between Kara Koyunlu under their Bey, Qara Yusuf and the Timurid Empire under the leadership of Timur's grandson Abu Bakr bin Miran Shah for control of Baghdad and therefore Iraq in late 1402. The Battle of Qara-Derrah Pass was fought between Pir Muhammad ibn Umar Shaikh Mirza I of the Timurid Empire and Abu Nasr Qara Yusuf of the Kara Koyunlu confederation of Turkmen people in eastern Turkey near Lake Van in the year 1395 C.E. The following is a timeline of the history of the city of Yazd, Iran. ↑ Fundación José Manuel Lara (2006). IBN JALDUN: STUDIES. Fundación El legado andalusì. p. 111. ISBN 978-84-96556-34-8. ↑ William Bayne Fisher; Peter Jackson (6 February 1986). The Cambridge History of Iran. Cambridge University Press. p. 11. ISBN 978-0-521-20094-3. ↑ name="SyedAkhtar2011"> Muzaffar Husain Syed; Syed Saud Akhtar; B D Usmani (14 September 2011). Concise History of Islam. Vij Books India Pvt Ltd. p. 192. ISBN 978-93-82573-47-0. ↑ Jackson, P. (1993). "Muẓaffarids". In Bearman, P.; Bianquis, Th. ; Bosworth, C.E. ; van Donzel, E.; Heinrichs, W.P. Encyclopaedia of Islam . VII. Leiden, The Netherlands: Brill Publishers. p. 820. ISBN 9004094199. M. Ismail Marcinkowski, Persian Historiography and Geography: Bertold Spuler on Major Works Produced in Iran, the Caucasus, Central Asia, India and Early Ottoman Turkey, with a foreword by Professor Clifford Edmund Bosworth, member of the British Academy, Singapore: Pustaka Nasional, 2003, ISBN 9971-77-488-7. Wikimedia Commons has media related to Muzaffarids (Iran) .